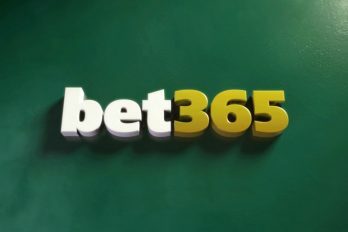 Regarded by many across the UK as the premium sports betting organisation, making regular appearances at half time in football matches and starring a famous East End actor, players won’t be surprised to hear that Bet365 offers an online casino that is the envy of other providers. Offering both a virtual and live experience, Bet365 provides traditional casino games for all to enjoy. Although primarily a sports betting company, Bet365 hosts the busiest poker room across Europe, removing any doubts about being a sole betting site. Playtech offers the software for the casino, ensuring players have access to the very best in technology and graphics for gameplay. The “download casino” option, which allows players to download the Casino onto their desktop system, provides accessibility to over 250 games, whilst players who play online have a slightly slimmer choice of 150 games. These include traditional card games, e.g. Poker and blackjack, in addition to traditional brick and mortar games such as baccarat and roulette wheels. Progressive slot machines regularly pay out jackpots into the millions, with Gladiator, Gold Rally and Ironman III being the most popular out of these games. Industry leader Playtech leads the software features for Bet365 Casino ensuring high speed and accurate response times for players. Bet365 Casino operates on multiple platforms, functioning on Android, iPhone and iPad. The mobile app offers a Live Casino option allowing additional compatibility, whilst Android users can access the casino via the mobile browser. With a scrolling toolbar across the top of the desktop version, Bet365 regularly offers promotions for players. Examples include promoting slot machine jackpots, in addition to constant promotion of the live casino with bonuses respective of the game selected. New users are also encouraged to sign up with bonuses for those who do. Rewards of up to £100 are offered to those who place deposits on the site. Bet365 uses a “one wallet system”, meaning that players keep the same username, password and bank details across all platforms of the organisation, encompassing Sports, Casino, Vegas, Poker and Bingo rooms online. By doing this, players can enjoy games on offer without the fuss and frantic stress of remembering different passwords for different options. Using Thawte SSL web server certificates to encrypt all in and outbound data on the site, Bet365 ensures that users are protected and secure whilst playing. Deposits and withdrawals can be made using all major credit/debit cards in addition to other online payment methods including NETELLER, Ukash and PayPal, ensuring a speedy transfer process. Bet365 Casino ensures players that help is available for each individual situation. Each page features a link to a Help section, with an FAQ page covering a range of issues, e.g. Technical support, payment advice and rules regarding Casino games. Customer service is available 24/7 as well, alongside email support.